With many gamers poised to queue to the early hours tonight in order to grab the latest iteration of Call of Duty, it’s only right that we report on a little console rumor roundup – focusing specifically on the next-gen Xbox. The rumor mill of games consoles – above most other things geeky – tend to drag out a lot longer due to the sparse timespan between releases. Gamers have years and years to try and ascertain what’s next in line from Sony, Nintendo and Microsoft – the three front-runners. In the latest, a Tumblr blogger named MSNerd, (who gains a little credibility due to previous correct forecasts), has gathered information based on “rumors, tips, and speculation,” to try and paint a picture of what Redmond-based Microsoft has in store with the future release of Xbox. Apparently, the next console will be smaller than the current version, marginally cheaper, and will be based on the Windows 9 core software and ARM processors. With Windows 8 still around a year away, it really hits home just how many moons will pass before the next Xbox makes its way to our television sets. Previously leaked designs have pointed to a 2015 release time, but with console development being a meticulous business, it could be even later than that. (S)he also added that it will be custom designed by Microsoft along with two partnering companies based on the ARM infrastructure. 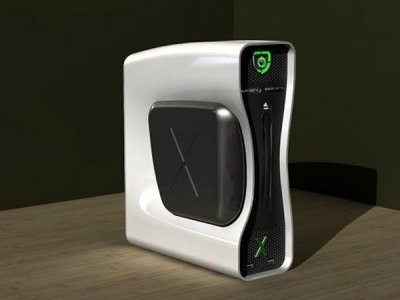 The surprising revelation of the lower price tag could pave the way for further adoption of the already popular Kinect peripheral, which has brought Wii-like interaction to the higher-end Xbox 360 and has proved extremely popular – becoming the fastest selling gadget of all time. As already mentioned, MSNerd has previously been accurate in providing in-depth and relatively spot-on info regarding Microsoft. The blogger revealed info on Microsoft’s eventually scrapped tablet project, as well as details of the Windows Phone, Zune/Kin debacle back in 2009 and 2010. Whilst we remain skeptical in relying on the blogger as a trustworthy source, he or she does seem well-informed on most information published.